You think it's gross or cool? What does Saudi Arabia taste like? Does it taste dirty? How is this language allowed? How racist this sender. So very ignorant! 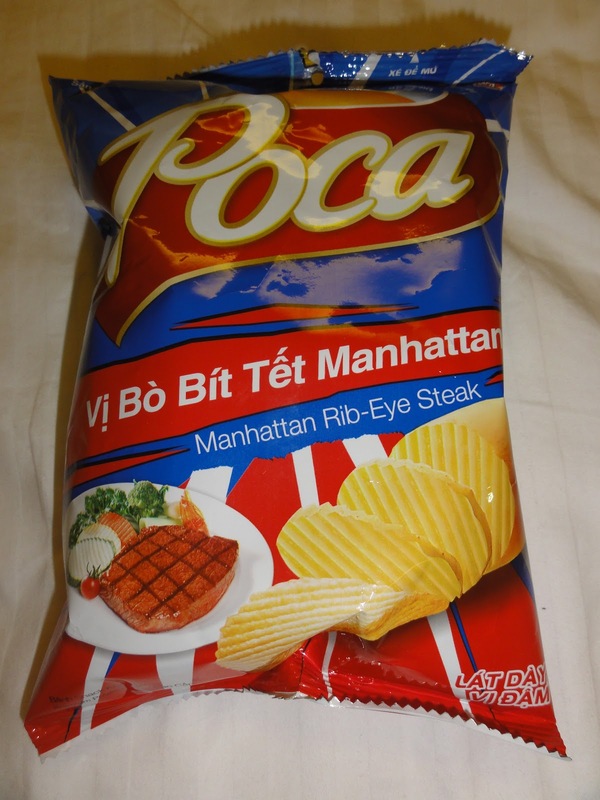 ma favourite beef flavour from South Africa, what happened to it? 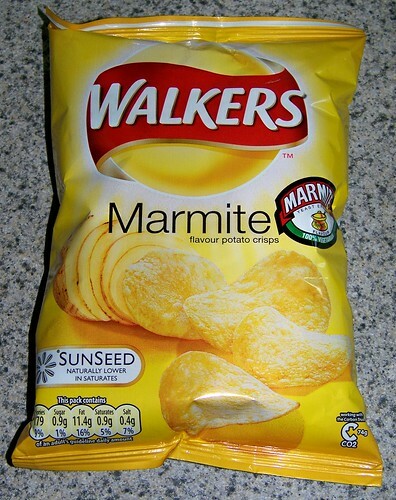 You forgot my favourite UK crisp that I get at a ridiculously inflated overseas imported prices. 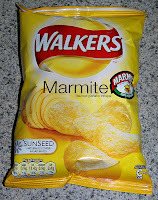 Walkers Worcester sauce crisps. Most nommable! I've tried the Chili and Lemon flavour from Egypt. Interesting, I must say. Had a very Indian cuisine flavour to it though. 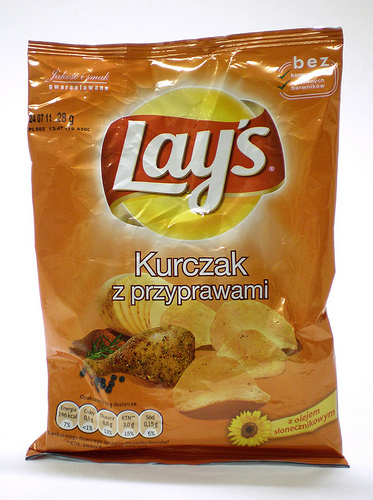 I've eaten lots of the Green Onion Lays in Poland. Love them. The chicken chips, though... no so much, lol. 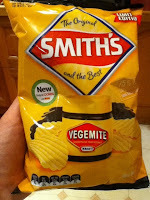 They do however taste surprising like roast chicken!! 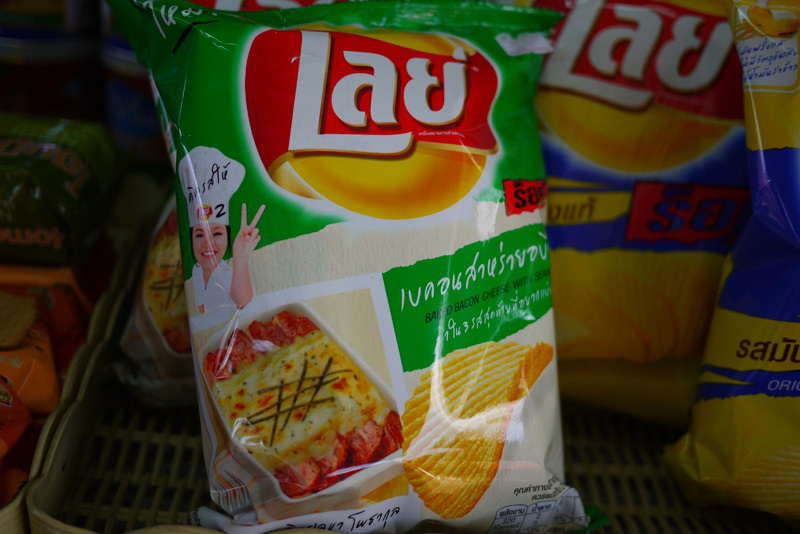 If I'm not mistaken, a radish-flavored chip by Lays is also sold there (i think it's seasonal). The squid chips listed here sound terrible, hahaha. I love those chips that have an onion powder from Russia. I'm craving these chips! Holy crap, I want so many these!!! But I have to order them online, I'm guessing since there's no point traveling to so many countries in one year unless you're filthy rich, because otherwise I would. Honey BBQ and Japanese Teriyaki sound freakin amazing!!! My mouth was watering just reading this list. I would like the flavor of mango chile y cilantro this combination of flavor can take you to the Caribbean - I would like to participate my name is Fidencio Ruiz and my address is 2723 Cross Tide Ln. friendswoodTx 77546 . Can you get these anywhere on line? I think sweet potato chips would be great. Buttery and sweet sweet potato chips. What happened to Canada's "All Dressed" variety that I drove from NY for? Those were heavenly! Russia's chicken flavored sounds awesome! Oregano is absolutely the best!! Had it on vacation Greece. HOW ABOUT CHEESE FRIES FOR A CHIP FLAVOR? THIS MIGHT BE SOMETHING TO TRY! Cheese Fries would make a really tasty potato chip! 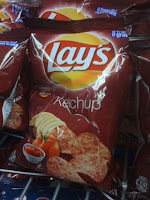 I submitted the flavor "Pickles n Chips"...guess how surprised I was to find this on the shelf at Walmart this weekend? I had the 'Italian red meat' crisps when I was in China,soooo tasty!. The Thai sweet basil chips are a chip masterpiece. There ridgey, and the sweet basil isn't really sweet, it's savory and has some kick to it. I ate them when I lived there for a while, now again, a friend will send me some. When I see that package, I am a very happy camper!! My daughter had the Paprika ones on the flight back from Germany and I wish I could find them in Tennessee, she just loves them and I can't find them anywhere. In Chile there is also "pebre" and "asado a la chilena" flavours under the "mediterraneas" name. Lays and combos will be my forever favorite movie snack, I will never get tired of those two. It's the perfect chips for me especially because it matches well with my favorite soda and tea drink. here in greece we also have tomato,paprika,wholegrain(black pepper &sour cream,sweet chilli and natural)in the oven(paprika,barbecue,mediterranean herbs and salted,salt and vinegar,homemade(fried in 100% olive oil),with 50% less salt,reddened stew sauce and prawns cocktail(but they stopped making them,they only reproduced the prawns coctail in limited edition for a while). Lays and other chips has been the best snack for me. Especially while chilling out on a beach or in a resort, I don't know, but I think, it is basically because it's easier to eat and to open as well. The world needs Fried Green Tomato chips ! The flavour is unique. I WANT MY FLIPPING CHIPS!!! 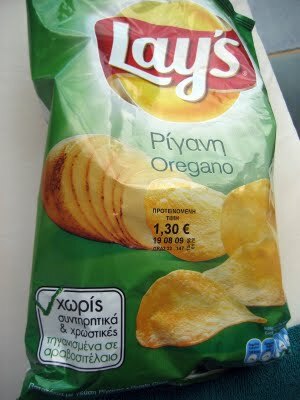 WHERE CAN I ORDER OREGANO FLAVORED CHIPS WHILE FROM GREECE TO AMERICA!?!?! I'm in South Africa. Lay's had that Biltong flavor until 2003. The packet had good information on the back about an interpretation of the colours of the South African flag. I'd still like to get an empty packet for that again. But, that's wishful thinking. 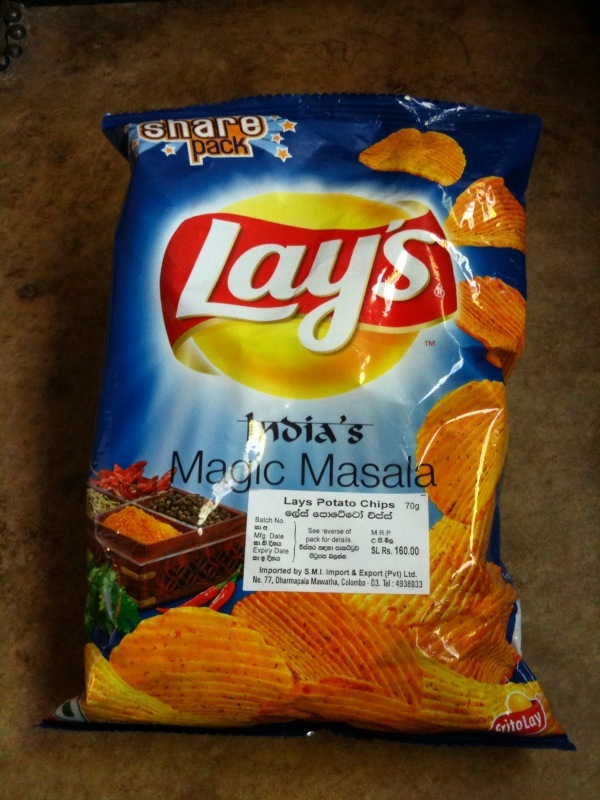 Lay's also had a limited edition of this about a decade later. Unfortunately without that information. It was also with Australian barbeque prawns, having the Australian flag. There were also recently a few other exotic ones in black packets. 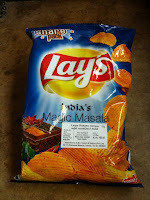 South African Lay's flavours aren't listed here. How about a chipolte flavor with lime. 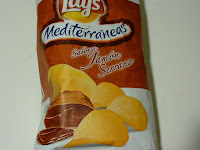 Nowaday, there are three kinds of Lay's at Brazil, these are Original, Sour Cream and Barbecue (being specifically the name can be Rump Cap or Top Sirloin Sap). Your page is very interest. Congratulations! France has Lays too! Natural, BBQ, Spicy (Paprika), Vinegar & Salt, Parisian Sandwich (Limited Time), Mustard, Four Cheese, Traditional (different potato), Pickles, and a few others! 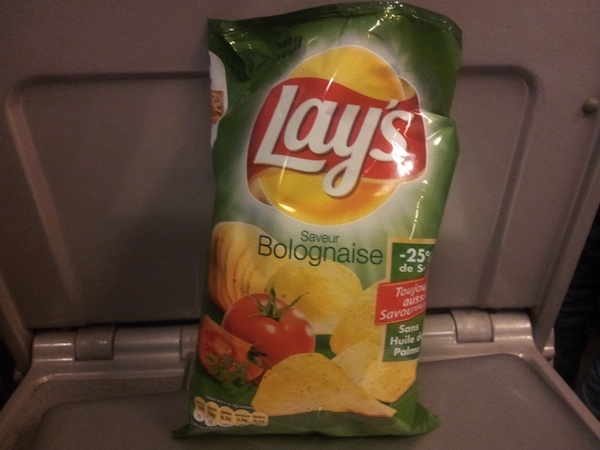 wow a lot of lays I didn't know about.Some look disgusting some look delisc. You are very brilliant. I like all of your article. All kinds of collection is awesome and very enjoyable. Is the contest over; how about a Hawaiian pineapple type chip? Many of these sound really good but I'm still scratching my head over the chip in Egypt called Saudi Arabia. I'm a bit afraid of what that might taste like!